Wednesday, Spencer and I took advantage of some public transportation options to get down to the Capitol. 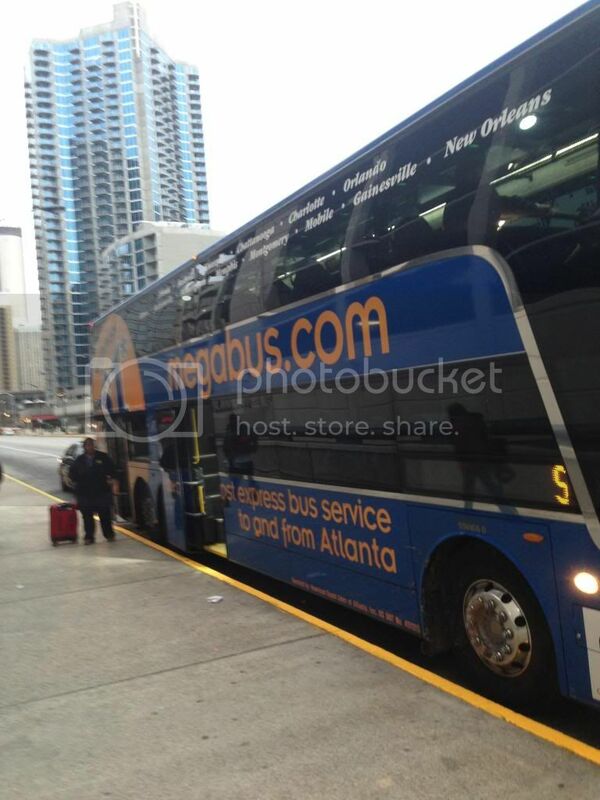 One of the little known options for getting from Athens to Atlanta is the Megabus. Megabus is a low-cost, daily express bus with routes from Athens to Atlanta and fares that start at as little as $1 each way. From the end of the Megabus route, Spencer and I jumped on a MARTA train to the Capitol. After a great experience, we wanted to take the opportunity to discuss this and other transit options in both Athens and Atlanta. Spencer and I got an early start Wednesday morning meeting at the Muti-Modal Transit Center in downtown Athens at 6:15 to catch the Megabus. We were greeted by a friendly bus driver and a clean bus with comfortable seats. During rush hour, we made the trip to Atlanta in about an hour and forty-five minutes and were able to avoid some traffic by riding in the HOV/Peach Pass lane on I-85. Just after 8:00am, the Megabus dropped Spencer and I off at the Civic Center MARTA station. From the Civic Center, we were able to take a MARTA train ten minutes to the Georgia State MARTA station one block from the Capitol. Although the trip was a little longer, it was worth a few extra minutes to avoid fighting traffic and get some extra work done on the bus ride. I was most struck by how few people were on the bus. Given how low the fares were and how easy the process was, I thought that more people would be taking advantage of this transit option, however Spencer and I were one of eight people on the bus Wednesday morning. This got us talking about all of the other transit options that people may be missing out on and how increased transit use could help alleviate our traffic problems. There are many great ways to get around Athens and Atlanta without using a car. 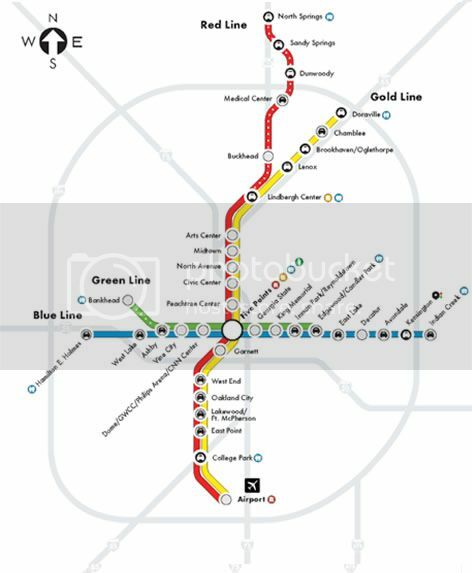 In Atlanta, the MARTA rail line is a great option for anyone wanting to get around Midtown and Downtown Atlanta. MARTA has stops near the Capitol, Georgia State University, the Georgia Dome and Georgia World Congress Center as well as stops in Midtown at North Avenue and the Arts Center. The MARTA bus system has nearly 100 routes that connect the MARTA rail system to spots all over the city of Atlanta. Athens has some great public transit options too. Athens Transit has 19 different bus routes that cover most of Athens and the surrounding areas. 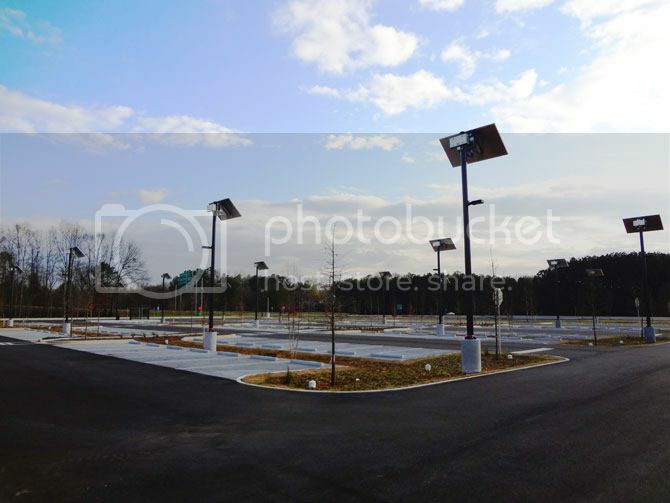 There is also a brand new Park and Ride lot off of Oconee Street where it meets the Georgia 10 Loop. This parking lot is free to park in and has access to five Athens Transit bus routes that run from 6:30am to 9:30pm Monday-Friday and 7:30am-9:30pm on Saturdays. Also accessible from the Oconee Park and Ride Lot is the new Oconee Park and Ride/Downtown Express bus that goes straight from the lot to Downtown every 20 minutes during commute times (7:00am-9:30am and 3:00-5:30pm Monday through Friday). This lot is a great option for commuters who work downtown or students who want to park for free and not fight campus traffic. This lot is also a great option for lunch or shopping downtown that allows you to avoid driving around downtown looking for a parking spot. Although public transit it Atlanta and Athens is not perfect, it does provide an alternative to fighting Atlanta traffic and searching for parking spaces in Athens. It takes more cars off of our roads helping us reduce traffic congestion and keep our air cleaner. It also is a vital option for many low income working families who depend on busses and rail to get to work or school. Spencer believes that transit is an important investment in our community that helps families, businesses and our environment and will work to ensure that these investments are protected and expanded as apart of a broader strategy to strengthen our state and local economies. As always, it is an honor to serve you in the General Assembly. Thank you and have a great week!